At some point in life I realized that I could combine my two great passions, dancing and the English language. This resulted in Dancing English Teacher, a pedagogical approach where kinesthetic awareness and language learning are combined. 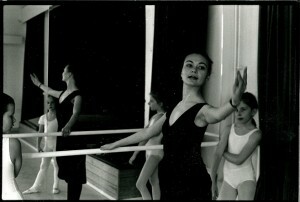 I started my teaching career in 1988 as assistant ballet teacher. A quarter of a decade later I am still teaching, today English and performance skills at Haaga-Helia. The same rules still apply as in my early days of teaching: joy of expression, respect of peers and an atmosphere of tolerance in class. Pia Kiviaho-Kallio holds an M.A. degree in English. She has also studied at Theatre Academy Helsinki: Centre of Further Education and is a qualified dance teacher.